The journey from Thimphu to Punakha is on winding, mountain roads with spectacular alpine scenery. Drive over the DochuLa Pass (3,100m) where on a clear day there are spectacular views of the Northern Himalayan Range. This is best in October or November. 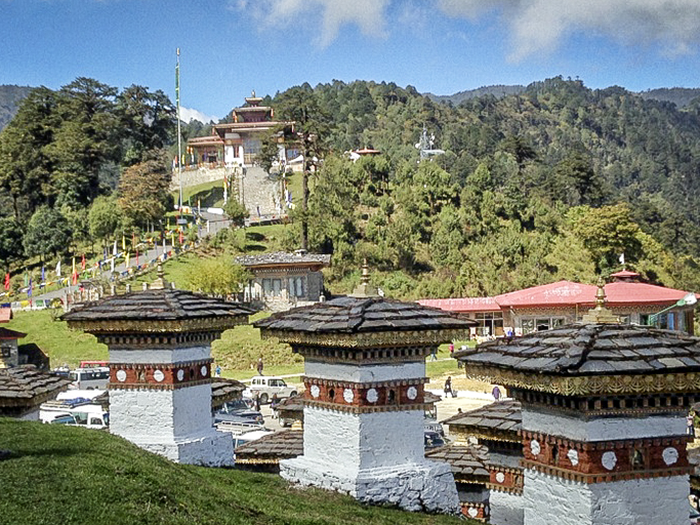 Stop to visit the 108 Druk Wangyal Chortens that have been built here. Until 1955, Punakha served as the winter capital of Bhutan and even today it is the winter seat of the Chief Abbot and the Central Monastic Body. 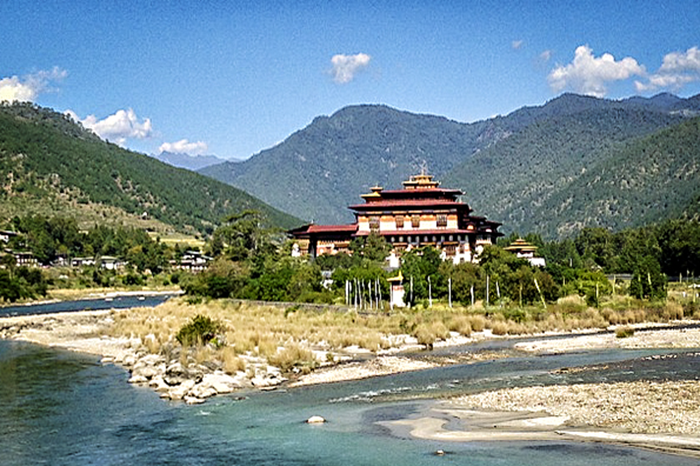 The Punakha Dzong was built in 1637 at the junctions of 2 rivers – the Pho (male) Chhu and the Mo (female) Chhu. It is thought to be the most beautiful dzong in Bhutan, especially in the spring.